Welcome to the final day of Even The Stars' tips for 2015. The three bands/artists we reveal today are three that we believe should be huge in 2015. They each have the tunes, personality and stage presence that have had us going back to watch them many times over the past couple of years and, with due respect to all the other bands on the lists, are the ones that we see breaking out to the much wider audience that they deserve. 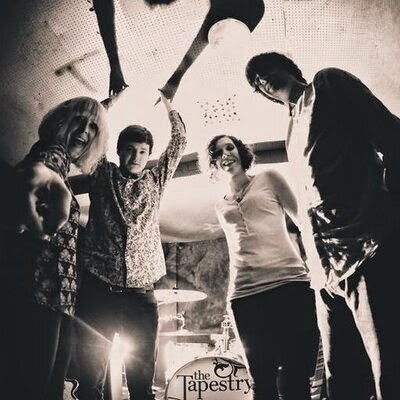 We present Blossoms, Findlay and The Tapestry. 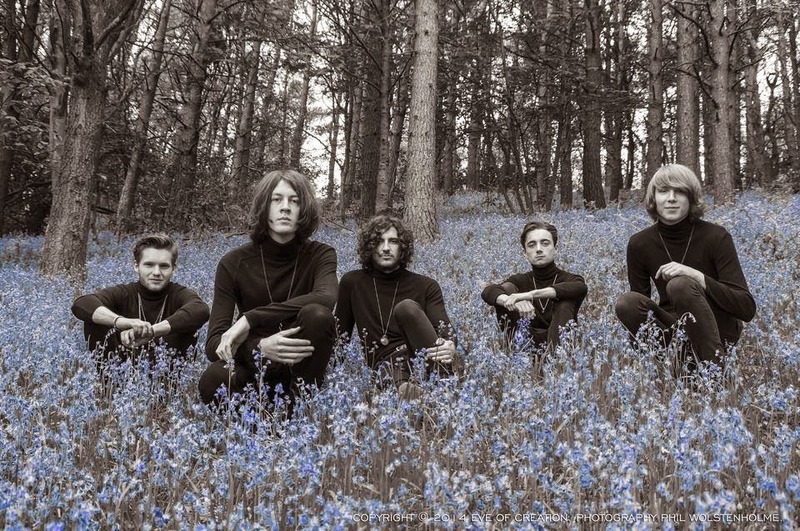 Blossoms are a five-piece from Stockport (they're named after a pub there that they used to pass on the bus) featuring Tom Ogden on vocals, Charlie Salt on bass and vocals, Josh Dewhurst on lead guitar, Myles Kellock on keys and vocals and Joe Donovan on drums. 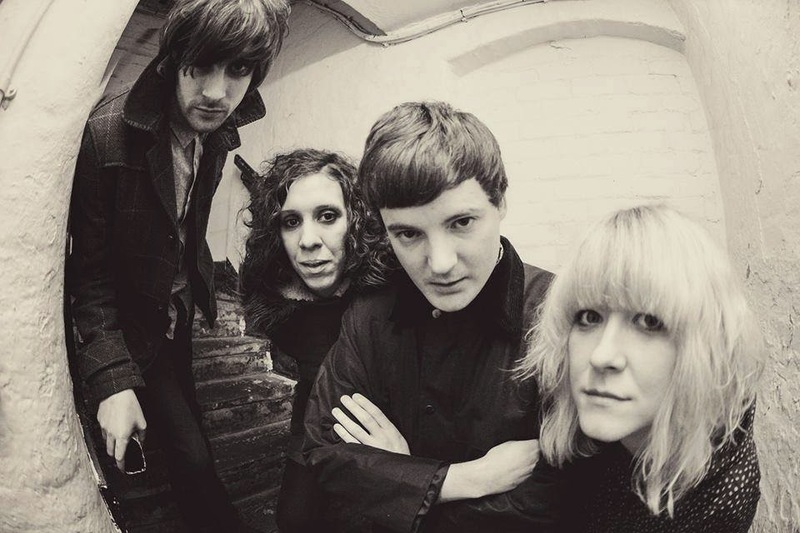 Their 2014 has seen them release their debut single Blow, sell out the Deaf Institute in Manchester and support the likes of James, Courteeners, Inspiral Carpets and Starsailor. 2015 already has a new single Cut Me And I'll Bleed scheduled for release as well as a two-month headline tour as well as support dates with The Charlatans in the UK and (rumour has it) Japan. They describe their sound as "ethereal nostalgic sonance". The great thing about them is that they already have a dozen songs that could make up 2015's classic debut album. Their sound fuses so many different influences without sounding like mere copies of any of them and those support slots have given them the confidence and stage presence that they can make the step up to headlining those venues on their own, which they undoubtedly will at some point in the not too distant future. Blossoms' official website can be found here including details of their tour dates. They are also on Facebook and Twitter. You can read our interview with Blossoms from August here. 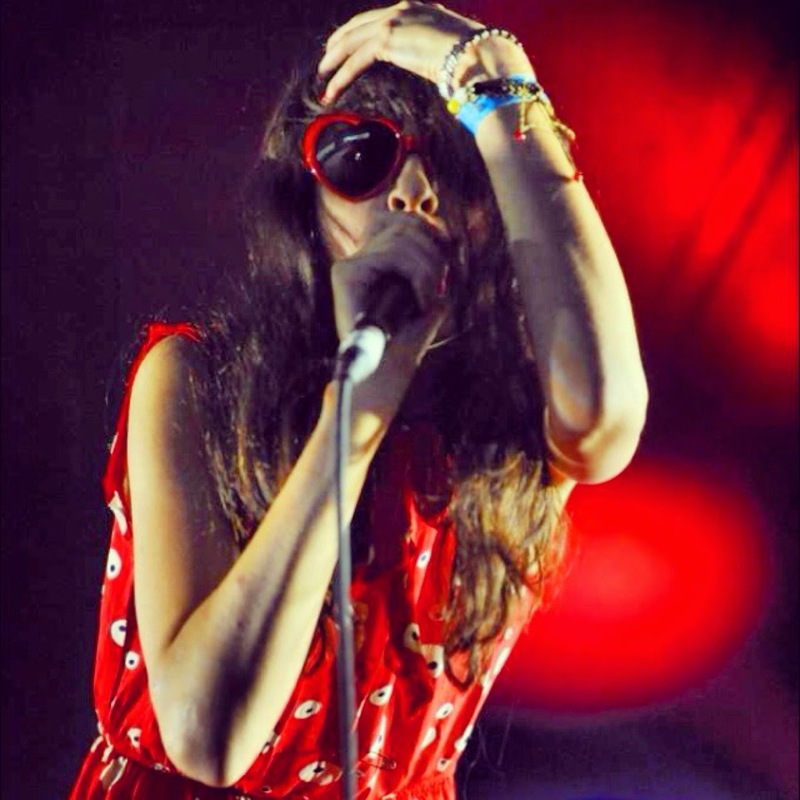 Aside from a few incendiary live shows, including one of our gigs of the year at the Band On The Wall back in February, 2014 has been a quiet year for Natalie Findlay and we're expecting 2015 to be the year she finally makes a major breakthrough as she reveals the recorded versions of the songs she's been wowing us with at those live shows. 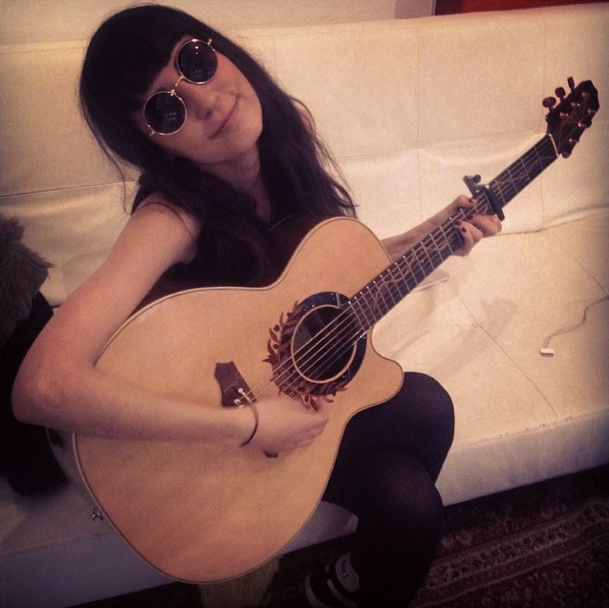 Findlay has come a long way since her solo acoustic demos were posted on Myspace years ago that first brought her to our attention. Singles On And On and Greasy Love are only the tip of the iceberg in terms of the strength of the songs she's been playing live and we're looking forward to hearing studio versions of Gin and Fake Black Heart amongst others. Her vivacious stage personality will ensure she'll continue to charm and thrill live audiences so we think everything's set for Findlay to become a household name in 2015. The Tapestry have been around the Manchester scene for three years, steadily building up a growing audience with tracks such as Rode Your Luck and this year's thrilling single Right As Rain. They won the Whiskey Sessions Unsigned competition in October which saw them open the Saturday of the festival in November. The Tapestry are Liam on guitar and lead vocals, Dyna on guitar and backing vocals, Katy on bass and backing vocals and Zara on drums. Whilst quiet in terms of releases, they've steadily been growing their catalogue of songs to the point where they've got more than enough great songs for a debut album. They start 2015 with a double A-side single with two live favourites Infatuation and Look Out as well as their biggest hometown show to date at the Band On The Wall. Their live set is choc-full of similar potential indie-dancefloor anthems that are guaranteed to win them a much bigger audience in 2015. Day One's bands were Cavalry, Embers, Larkins, My Igloo, The Sundowners, We Are Willow, The Telepathic Evils and Laura Doggett - read about them here. Day Two's bands were Bipolar Sunshine, Déjà Vega, Our Fold, Kelly Lee Owens, The Northstand, The Anchoress, Mega Emotion and Brahma-Loka - read about them here. Day Three's bands were Jordan Allen, LIINES, The Lottery Winners, The Shambles, Wall Market Racketeers, Gengahr, Mary Joanna and No Hot Ashes - read about them here. Day Four's bands were Chadelics, Trampolene, Puppet Rebellion, Sophia Ben-Yousef, Gramotones, Hartheim, Queen Kwong and Spectres - read about them here. Day Five's bands were Purple Heart Parade, Literature Thieves, Ryn Weaver, Prelow, The Reveurs, Ryan Jarvis, Saint Agnes, Altar Flowers and Seegulls - read about them here.